Diego Reyeros is an active youth leader with an expertise and passion in youth engagement, business consulting, and nonprofit management. Since 2010, he has advocated for progressive youth-related policies at a number of diplomatic and international forums and has contributed to empowerment initiatives through youth-led nonprofits. As a Chevening Scholar, Diego holds a Master's in Public Policy from King's College London, and has focused his academic research on youth participation and inclusion in the creation of public policies. He has taken this expertise into practice by participating as youth delegate at the summits of the Y20, OECD, WTO, UN and the Global Diplomatic Forum. He also helped develop MyVision Global, a social business incubator focused on young entrepreneurs. In addition to his role as Youth (YDF) Representative at the Advisory Board of the Global Diplomatic Forum, Diego acts as Recruitment Director of Young Diplomats of Canada, a youth-led nonprofit that develops Canada's future leaders in policy, advocacy and diplomacy, by recruiting and coordinating the official youth delegations for the summits of the G20, G7, WTO, World Bank, IMF, and OECD. 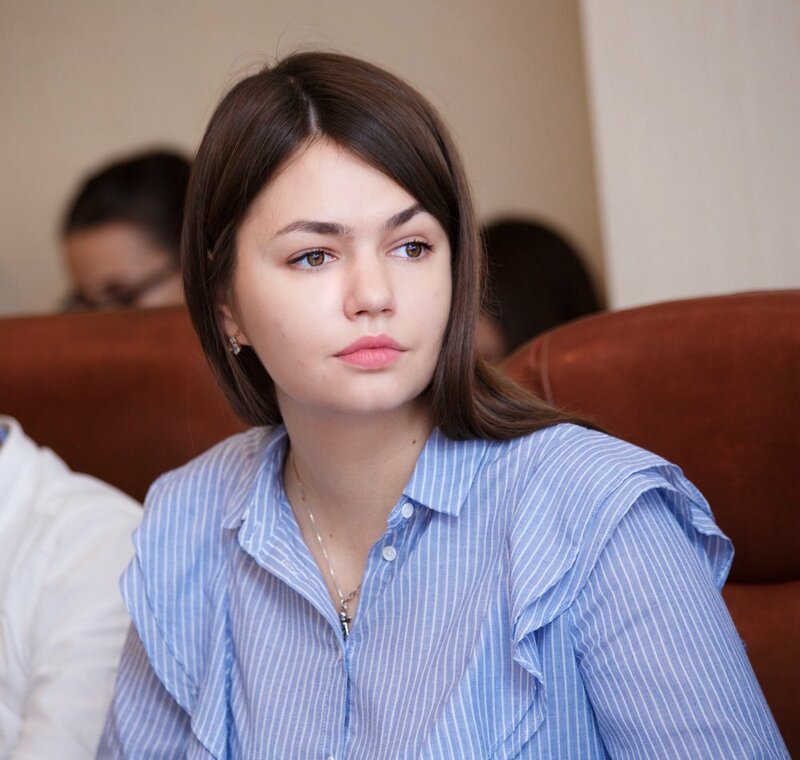 Starting as a volunteer in 2015, Anastasia soon became an organizer of TEDx conferences in Russia, Global shapers' Forum SHAPE EURASIA 2016 and different bilateral international events. Anastasia took part in 8th and 9th International Economic Summits “Russia — Islamic World: KazanSummit 2017" as a head coordinator of OIC Young diplomats conferences. Working as a fundraising manager, Anastasia cooperated with big multinational technology companies, beverage corporations, banks and airlines. Today Anastasia Bogdanchikova is a CEO of the Academy of Youth Diplomacy, a youth-led organization, the mission of which is to encourage young people to become active citizens. Academy supports youth initiatives in the field of international cooperation and brings together more than 3000 people involved in international educational exchange programs between Russia and the international community. The organization contributes to inspire young people to be tolerant and broad-minded, use diplomatic skills against any conflict and develop critical thinking and creativity. Anastasia Bogdanchikova was born in Russia in 1997. She is obtaining bachelor of International Relations in Kazan Federal University. Anastasia is a member of European Youth Parliament movement in Russia and young activist. Else Frijling moved to Amsterdam for her master’s degree in 2012 and she still lives and works there today. She currently works as managing director and is co-owner of an import and distribution company (XS Trading) that owns five shops (O Shop Alkmaar, Amsterdam, Haarlem, Utrecht, Leiden) in the Netherlands. As an entrepreneur she is internationally focussed and works together with Italian brands, a Spanish brand and brands from the Netherlands. She is responsible for the day-to-day business in general: from financial administration and human resources to sales and marketing. It is the diversity, need for creativity and variety of challenges of the job that she enjoys so much. The red thread in her life is an inexhaustible curiosity: a drive to expend her horizon. At 18 years she I moved to Barcelona to live and work in a different country and to learn a new language. Also, curiosity towards different cultures and world-views together with the drive to overcome differences, motivated much of her choices in life. She holds a bachelors degree in Religious Studies from the University of Groningen and was selected as one of 25 international applicants to attend the master programme Conflict Resolution & Governance at the University of Amsterdam. The combination of social and political science, an inexhaustible curiosity and the personal drive towards mutual understanding brought her to the Young Diplomatic Forum in Ankara 2013 and motivates her to become part of the Youth Working Group. Ms. Karima Rhanem is the president of the International Center for Diplomacy and co-founder and Director of Strategic Studies Research of the African Network of Youth Policy Experts. Ms. Rhanem is a communication professional for international development programs with over 15 years’ experience in outreach and public policy advocacy, working with and managing youth and civil society programs. Karima Rhanem has received several international and national awards for her engagement in civil society and human development. She has been nominated by the Crans Montana International Foundation “New Leader of Tomorrow” (2012) and received a certificate of appreciation from the European commission and the European parliament (EUVLP) as a promising leader and an opinion former (2014). She was recognized by the International Association of Public Policies and the Administration for her professionalism and dedication to promote peace and sound governance in the Middle East (2012) and Morocco World News good will Ambassador for the year 2012. 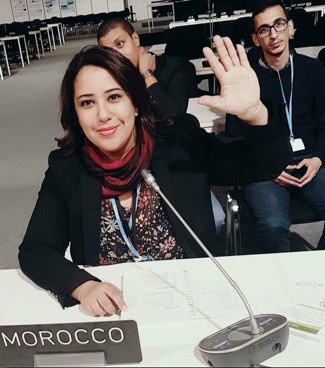 Ms. Rhanem was also awarded a certificate of honor by the Moroccan Ministry in Charge of Relations with the Parliament and Civil Society for her exemplary participation in the national dialogue on civil society and constitutional prerogatives. Recently, she won the Pan African Humanitarian Award for the Young Achievers for social Leadership and Nation Building. She has been appointed Ambassador and Country Director for the 4th edition of the Pan African Humanitarian Summit scheduled to take plan in Morocco. Karima Rhanem was also nominated personality of the year 2017 by Artpress moroccan magazine and 2017 Humanitarian hero by the UK-based NGO Design for need. Fatima Ayub is a recent law graduate from the University of London and currently works as a civil litigation lawyer and a Security Analyst for Middle East politics at a global think-tank. She has been an ardent, passionate advocate for women, refugee and minority rights in Pakistan, and has recently post graduation, embarked on her fellowship with Syria Deeply organization on the post-ISIL construct, international humanitarian assistance and social reformation of Iraq and Levant territories. 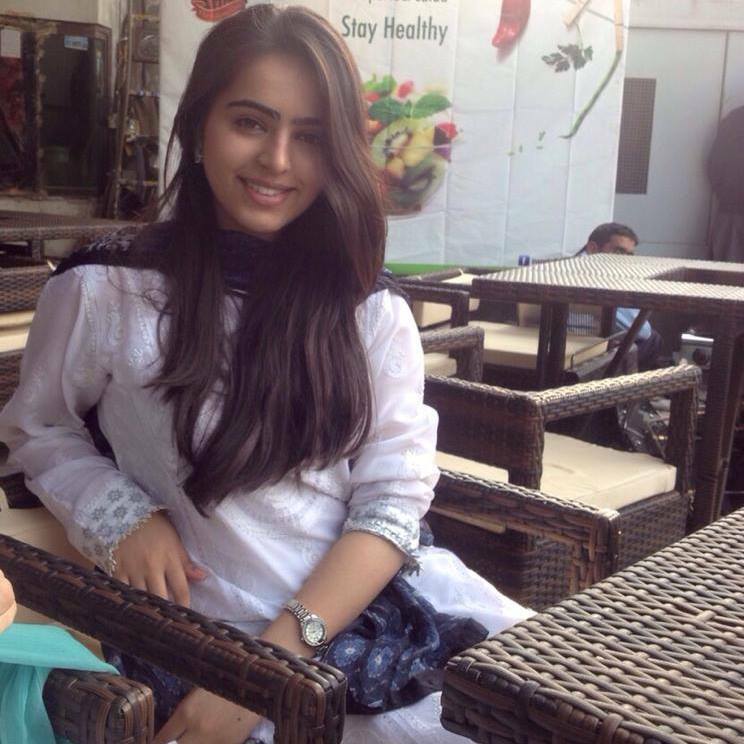 She has previously been associated with United Nations Youth Assembly, was as an elected member of Pakistan's Youth Assembly, and was voted Student body President at her alma mater and notably assisted in the European Union project on the abolition of the death penalty for mentally ill prisoners in Pakistan. Fatima describes herself as a relentless idealist, a proud feminist and a modern Muslim woman. She is a proud alum of the Young Diplomats Forum, London 2017 edition and is extremely optimistic about her affiliation with YDF as a valuable asset and support-member to the Board and a key liaison person between YDF alumni in all their endeavours. 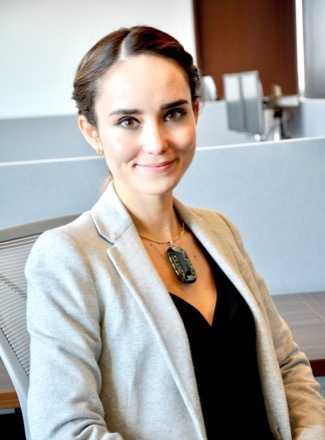 Born in Cartago in 1984, Mariana Rosales Aymerich is a Costa Rican career diplomat incorporated to the Ministry of Foreign Affairs since 2010. She has served as Counselor and Consul at the embassies of Nicaragua and Peru after working as Area Coordinator in the International Cooperation Department of the Ministry. Amongst her greatest professional accomplishments Miss Rosales Aymerich leaded the processes of negotiation for the Visa Waiver Agreement between Costa Rica and Peru as well as the cooperation chapter of the Association Agreement Between Costa Rica and Mexico, she also was in charge of the NGO’s best practices’ programme within the International Cooperation Office and was involved in the process of negotiation and execution of the first Spanish subvention assigned to Costa Rica for Triangular South-South Cooperation. She holds two bachelor’s degrees, (International Relations and in Business Administration) as well as a licentiate degree (International Affairs – Trade& Commerce) from Universidad de Costa Rica and Universidad Nacional. During her studies she took part in both universities latin dance’s groups. In her early university years, she was elected vice-president of the Local Committee of AIESEC UCR, she was selected to attend the Leadership Development Seminar in Isla Margarita, and was awarded as best negotiator on the service’s sector in the inter-university’s WTO model. After finishing her International Relation’s degree, in order to learn more about the world she had studied, she traveled around Europe, North and South America while working as a flight attendant. She also got a glimpse of the private sector while working at Procter and Gamble in the finance and accounting area. It was also during her studies and just after joining the foreign service that she became a mother, allowing her a deeper understanding of the importance of sustainable development, gender issues and youth empowerment. She is currently on a leave of absence while she works on her master’s degree in International Affairs at The Graduate Institute, Switzerland where she intends to focus her research into Public-Private Partnerships while contributing to the student’s welfare committee. "Mercedes is the founder and CEO of Young Australians in International Affairs, a not-for profit engaging young Australians in foreign policy and international affairs which is dedicated to building the high calibre young leaders Australia needs to navigate the Indo-Pacific century. She currently works in the Australian defence industry, as the Intelligence Coordinator at Thales Australia. Before joining Thales, Mercedes worked for the Australian Strategic Policy Institute (ASPI). She is a non-resident WSD-Handa Fellow and a member of the Young Leaders Program at the Pacific Forum, Centre for Strategic and International Studies (CSIS). Mercedes is recognised by the World Economic Forum as a Global Shaper, and in 2015 was recognised by the Foundation for Young Australians (FYA) as one of Australia's Top 50 Young Social Pioneers. In 2016 she was awarded FYA's Unleashed Award for her work in promoting young Australians engagement with Asia. Her work experience includes ASPI, Wikistrat, the China- Australian Chamber of Commerce in Beijing and the Australian Workplace Innovation Centre. Mercedes holds a Master of Arts (International Studies), Graduate Diploma (International Studies), a Bachelor of Arts (double major in Politics and Asian Studies) and a Bachelor of International Studies rom the University of Adelaide. Mercedes studied abroad at Maastricht University (The Netherlands) and Shandong University (People's Republic of China)." Mercy has over 10 years of illustrious diplomatic service at the Ministry of Foreign Affairs of the Republic of Kenya. 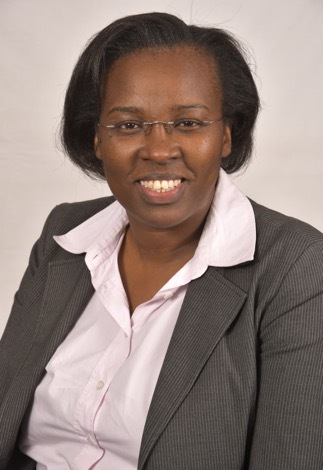 She brings rich knowledge and expertise on Africa having served at the Kenya Mission to the African Union, United Nations Economic Commission for Africa and Inter Governmental Authority on Development and Bilateral relations with Ethiopia and Djibouti for close to five years. She led the Mission team on Millennium Development Goals (MDGs), Common African Position on Post 2015 Development Agenda process, ICT, Education, Science and Technology and Youth Affairs. She tracked the substantive work at the African Union Commission in Political Affairs, Human Resources Science and Technology, Social Affairs, Infrastructure and energy. Mercy actively participated in visioning of the continent’s Agenda 2063 when Kenya Chaired the Subcommittee on Conferences and Programs. She was a member of Steering Committee on Pan African University representing Kenya as the host of Pan African University Institute of Basic Science and Technology. She brings rich experience in diplomacy, intergovernmental relations and multilateral policy development. She is a head of the curve in strategic visioning, exercising adaptive leadership, building partnerships, and getting things done in a development context. Mercy is married and has two children. Martin El-Khouri was born in Aachen, Germany, in 1990. He speaks German, Arabic and English fluently and possesses over advanced knowledge in Spanish and French. Martin studied Political Science with a major in Economics at Bremen University, Germany. After concluding his Bachelor studies, he published an article on the Civil War in Syria titled “The ignored revolution – The development from the Syrian uprisings to a religious civil war” at Hanns-Seidel Foundation. In July 2017, he participated in the Young Diplomats Forum Summit in London. In February 2018, Martin will attend the United Nations Youth Assembly. In June 2018, he will conclude his Master Studies in International Relations with a major in global political economy at TU Dresden, Germany. I’m the Founder at Appreciate, a social platform to connect people and businesses with any non-profit, anywhere in the world. Prior to Appreciate, I spent 6 months at AB InBev as a Global Management Trainee. In 2016 I graduated from the University of Stirling with a BA (Hons) Politics, Philosophy and Economics. During my time at University, my professional experience included internships with Coutts Private Bank (Onshore and Offshore), Odey Asset Management, Russell Reynolds, the House of Lords and Appleby Law. In 2015 I was selected as a Delegate for the 2015 Young Diplomats Forum in Greece and I held the position as a Student Ambassador for the Chartered Management Institute. Alongside my studies I founded the University of Stirling Symposium which enhances students’ career prospects, engages students to think about their future and brings the leaders of today together with the leaders of tomorrow. Sihini Trinidad is an active youth mentor who works as a consultant at a legal and economic advisory firm. Sihini holds a B.A. in international relations from the Instituto Tecnológico de Monterrey and is passionate about creating effective hubs and policies for youth leadership, engagement, and strategy. Her topics of interest include education, intergenerational mentorships, and public private partnerships focused on impact investing. Sihini's international experience includes studies at the University of Geneva, Yale University, and the Olympia Summer Academy. She has also been active in youth forums for regional integration and international development. From 2005 to 2009, she participated and organized her school's MUNs. In 2010 and 2011, she was a delegate and President of the North American Forum of Integration. In 2014, she was selected as a Mexican delegate to the Youth 20 summit in Australia, where she advocated employment, mobility, and entrepreneurial initiative with B20, YEA20, Sydney's Global Shapers, and Mexico's Youth and Labor Ministries. In 2015, she was a judge and speaker for World Entrepreneurs and the Harvard Initiative for Latin American Relations. Raphael Obonyo is a youth advocate at the national, regional and international levels. Mr Obonyo is the external adviser, UN Habitat’s Youth Advisory Board, and Africa’s representative in the World Bank’s Global Coordination Board on Youth and Anti-Corruption. He is the co-founder and a member of the Advisory council of the Youth Congress, a premier youth-led organization in Kenya. He has extensive knowledge and experience in public policy, international development, political economy, governance and human rights. Mr. Obonyo is an alumni of the Global Young Diplomats Forum Programme. He is 2014 Crans Montana’s New Leader of Tomorrow. He holds a Masters in Public Policy from Duke University. He is a Ford Foundation Fellow.